What’s Your Henderson NV home worth today? Find out now! Contact Your Seven Hills real estate agent Ernie Gonzales at ernie@gonzalesteam.com or at 702-291-8126. If you are looking for a community in Henderson to buy a home, Seven Hills might just be the one. Seven Hills master planned community originated in 1997 and is made up of 1300 acres that sits a top the McCullough mountain range with magnificent views of the surrounding mountains, Las Vegas city lights and Rio Secco Golf Course. Seven Hills is an affluent master planned community with several gated neighborhoods featuring affordable housing from Condos to exclusive multi-million dollar homes owned by the rich and famous. Seven Hills is only 7 miles from the famous Las Vegas Strip and situated near the Henderson Executive airport known for its private jet business. The Rio Secco Golf Club is located within Seven Hills with many of the Seven Hills homes backing up to the beautiful greens. Rio Secco Golf Club was designed and built in 1997. Rio Secco features six holes through steep canyons, six holes on a plateau overlooking the Las Vegas City and six holes in a broad desert wash. Seven Hills has approximately 2800 affordable homes within the master planned community. Seven Hills is made up of several smaller gated neighborhoods some are even guard gated neighborhoods. The homes in Seven Hills feature the typical southwest architecture with stucco and tile roofs. Many of the homes in Seven Hills feature backyards with pools and magnificent views of the surrounding mountains, golf course greens or Las Vegas city lights. As you drive up Seven Hills parkway the homes range from condos, town homes, modest single story and two story family homes to large luxurious custom homes. Homes range in price from condos starting at $73,000 up to the custom homes as high as $5,000,000 and everything in between. Due to the range of homes available in Seven Hills it is very popular to home buyers so homes tend to sell quickly. However with this popularity it is easy to buy or sell so there are always more to choose from. To the west of Seven Hills sits the Henderson Executive Airport and the master planned communities of Inspirada and Anthem. One of the claims to fame in Seven Hills is the Rio Secco Golf Club along with the the guard gated custom neighborhoods located off of Grand Hills in the center of Seven Hills. Rio Secco was designed by the golf course architect Rees Jones and features the Butch Harmon school of golf. The Rio Secco Golf Club has many custom homes that back up to the beautiful greens. Rio Secco Golf Club was designed and built in 1997 and features six holes through steep canyons, six holes on a plateau overlooking the Las Vegas City and six holes in a broad desert wash. Seven Hills features several parks, basketball courts, tennis courts, jogging trails, playgrounds, and green areas. The streets are lined with luscious green trees, desert plants and colorful flowers that are maintained by the association. There is easy access to many amenities living in Seven Hills. One of the best things about living in the Henderson and Las Vegas area is that you can be any where in a matter of minutes. At a good time you can drive from one end of Henderson to the other end of Las Vegas in 45 to 50 minutes. Yes we do have rush hour traffic however it is no where near the traffic in California. That is one reason other than the lower taxes that many Californians relocate to Henderson. Henderson is the Southern most area of Las Vegas so commuting back and forth from Nevada to California is easier if you reside in Henderson. Living atop the McCullough mountains in Seven Hills is like living in a world away from the hustle and bustle of Las Vegas. However you are only 7 miles from the famous Las Vegas Strip, 20 minutes away from the airport and minutes away from any amenities you will need such as shopping, dining, medical and supplies. Seven Hills is located in Henderson, NV which is a suburb of Las Vegas and has the home town feel of a small community with all the amenities of a big city. Henderson is a vital part of Las Vegas with many business, higher education institutions and major distribution warehouses that support it located there. Henderson is the 2nd largest city in Nevada with a population of over 270,000 which makes it even bigger than Reno. Henderson NV was ranked in 2011, by Forbes Magazine as “Americas 2nd safest city”, 2012 Bloomburg Business Week ranked Henderson “One of the best cities to live in America” and in 2014 Henderson was ranked as one of the top 10 “Safest cities in the United States” by FBI Uniform Crime Report. To the west of Seven Hills sits the Henderson Executive Airport and the new master planned community of Inspirada. Also the popular M Casino on the South Strip, where you can dine, relax by the pool or play the hot tables and slots inside. To the South is the master planned community of Green Valley with the off strip casino of Green Valley Ranch and boutique shopping and dining area of The District. The District dining includes Lucilles, Kings Fish house, Elephant Bar, PF Changs, Ben and Jerrys, Rachels Kitchen, Lyfe Kitchen, Balboa Pizza and many more. Shopping in The District includes Whole Foods, White House Black Market, The Loft, REI, Jane and Jack, Brighten just to name a few. To the South East of Seven Hills sits the beautiful master planned communities of Anthem and Maderia Canyon. Anthem is most known for the neighborhood of custom golf homes in Anthem Country club and the retirement community of Sun City Anthem. There are many public schools, private schools and charter schools easily accessible to the Seven Hills area. These schools include elementary schools, middle schools and high schools some of which are of specialty focus, curriculum and christian or catholic based. When you are planning your move to the Seven Hills area you will be able to search for homes based on the school that is right for your children’s educational needs and desire. There are many private schools located in the Las Vegas Valley with many of them right here in Henderson. These schools are near the Seven Hills neighborhood and will take between 15-20 minutes to get to the schools. Here is a list a few of the private schools located in Henderson; Green Valley Christian, Henderson International, Lake Mead Christian, Warren Walker, and Challenger. Here is a list of a few of the Charter Schools located in Henderson; Coral Academy of Science Las Vegas, Silver Sands Montessori, EKA Academy, Somerset Academy and Pine Crest Academy. List of Colleges located in Henderson; Touro University, Nevada State College, CSN, The Art Institute of Las Vegas, Roseman University of Health Sciences, ITT Institute of Henderson, International Academy of Design and Technology Las Vegas, and Las Vegas College. There are also many other private schools, magnet schools and virtual schools that your children will have access to living in Henderson they are just not all located within the city of Henderson. The Henderson real estate market is always hot. Yes, the Las Vegas Market and the Henderson Market are always on the same market trend however the Henderson Market values always average higher than the Las Vegas Market. There are a few slight differences in the Henderson city ordinances that home builders must follow so that has resulted in a difference in values. What makes the values higher are the larger lots, more space between homes, more architecture on home, and more parks and green areas within the communities. Seven Hills is located in the 89052 Zip Code. From 2013 to 2014 the 89052 zip code appreciated 13%, however from February of 2014 to February of 2015 the 89052 zip code appreciated 32%. What this means to you the home owner in Seven Hills is that you if you were under water you may not be at this time. This translates into more money when you sell to put in your pocket. Become the Market expert for you area! You can view the current market statistics on the 89052 zip code on our Market Insider Report. You will be able to view market statistics, community info, local schools, compare communities to other Henderson communities and get market insider tips. 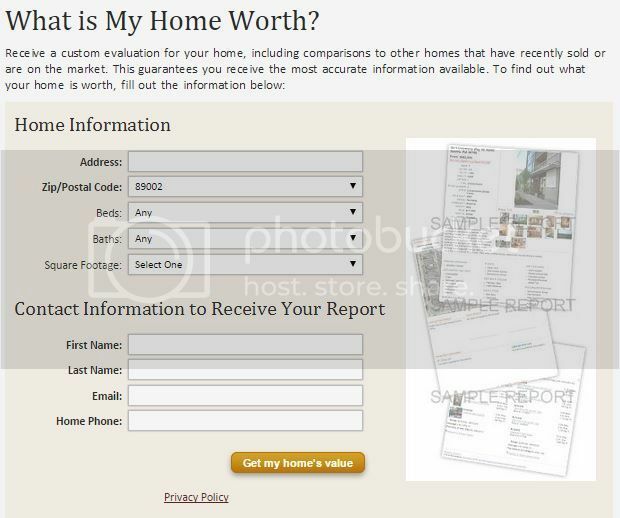 You will be able to sign up to get the monthly Insider report so that you can stay on top of the market in your area. Terracina is a guard gated subdivision located in the master planned community of Seven Hills Henderson, Nevada 89052. The Terracina community consists of exclusive properties boasting up to 14,000 SF of living space, multiple car garages to store all your toys and lots from ½ acre to 1 acre. The community sits above the Rio Secco Golf Club so the elevation allows for most of the custom homes to have a spectacular view of the Las Vegas City lights, beautiful desert mountains or the Rio Secco Golf Club. The typical facade and architecture of the homes fit into the desert landscape beautifully with modern and contemporary homes. Inside the guard gate the residents of Terracina have access to a playground, tennis courts and park. There are full time security guards posted at the gate to track all visitors. Seven Hills is a great place to call home! If you want to live in close proximity to the Las Vegas city, but want to live in a quiet area and enjoy suburban life, you will like the environment you find in Seven Hills. Send your kids to school in one of the nearby public or private schools, while living, working, and playing in one of the best-master-planned communities Henderson has to offer. So, before you make the move to Henderson, connect with a Henderson Real Estate market agent today and tell them that you’d like to find out more about the Seven Hills master planned community and one of the fine Henderson neighborhoods in the area. They will be able to sit down with you, plan your floor plan and budget, and get you in the home of your dreams. Happy trails to you and welcome to Henderson. A great place to call home!